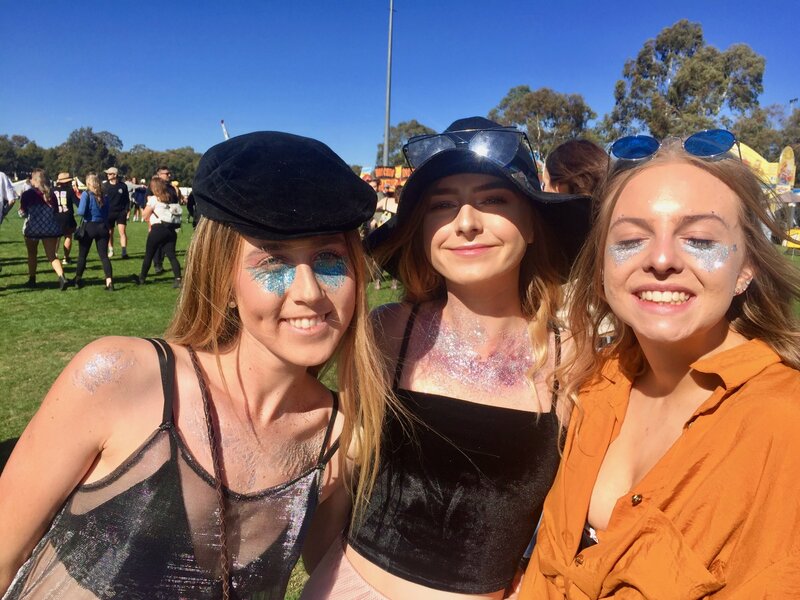 Canberra music lovers were treated yet again to an electric Groovin the Moo festival over the weekend, jamming out to the likes of The Wombats, The Darkness, Dillon Francis, Violent Soho, Tash Sultana and Amy Shark. 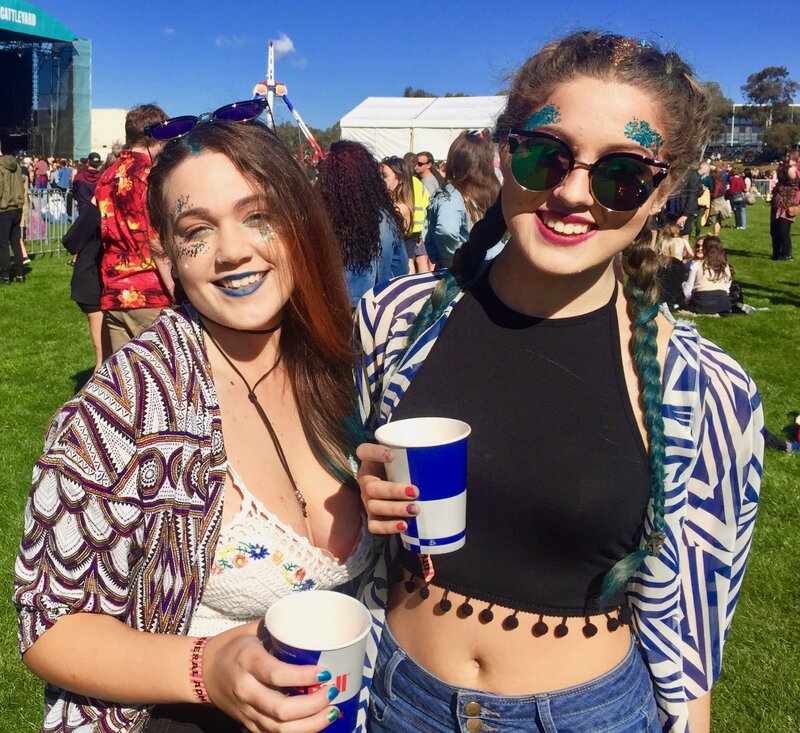 But the music is just one aspect of the festival scene, and we all know that music and fashion go together like two peas in a pod. 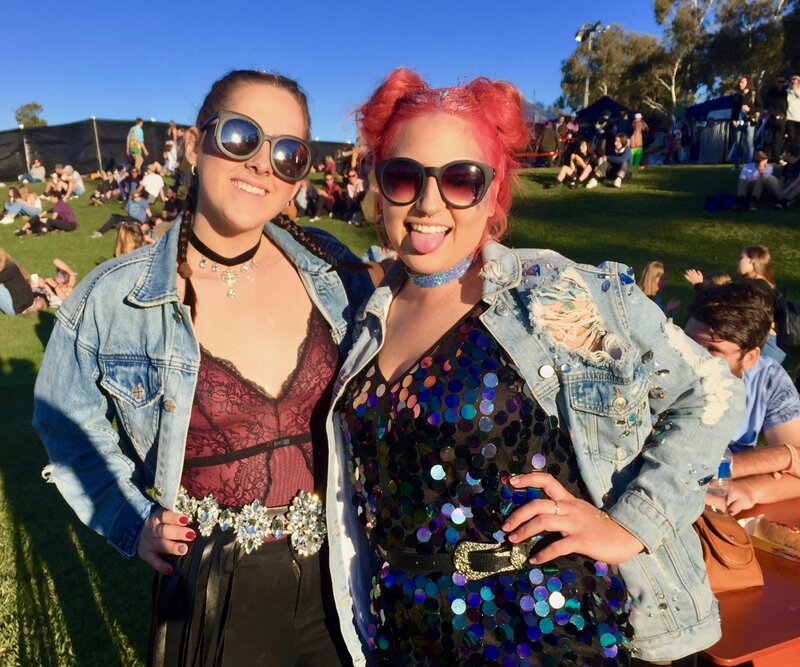 Among the hoards of vintage shirts, 70s sunglasses and moo cow onesies, I noticed some new trends emerging, as well as some enduring styles that are here to stay on the festival circuit for a few more rounds at least! The flower crown is dead, long live glitter roots! 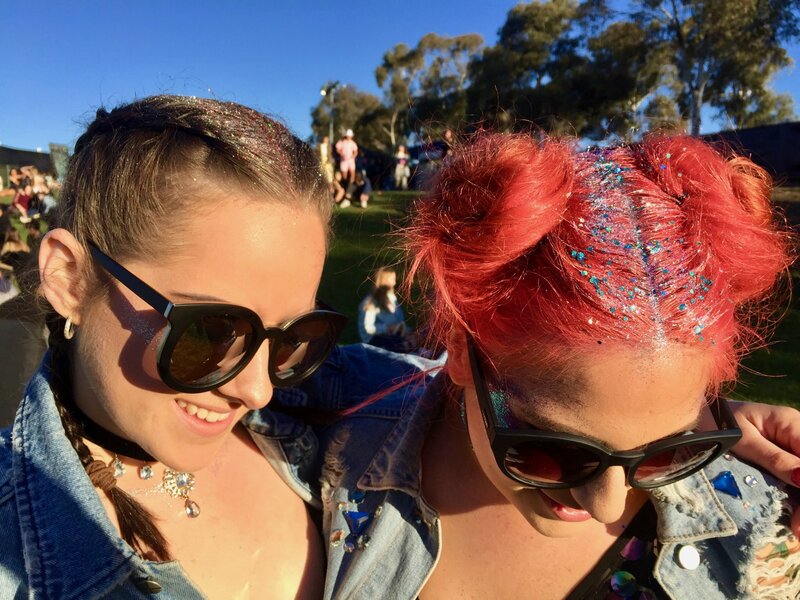 The staff at the beauty booth had their work cut out for them, doling out hair and body glitter by the bucket load and masterfully braiding hair into pigtail plaits. Glitter was smeared over cheekbones, temples and collarbones, mimicking the ethereal beauty of mermaids and spacey alien babes. A big trend for boys and girls alike was overalls, and I also saw a lot of dudes rocking long luscious curls like this cool fella. The pastel hair trend remains a favourite with pinks, blues and greys the preferred shades of 2017. 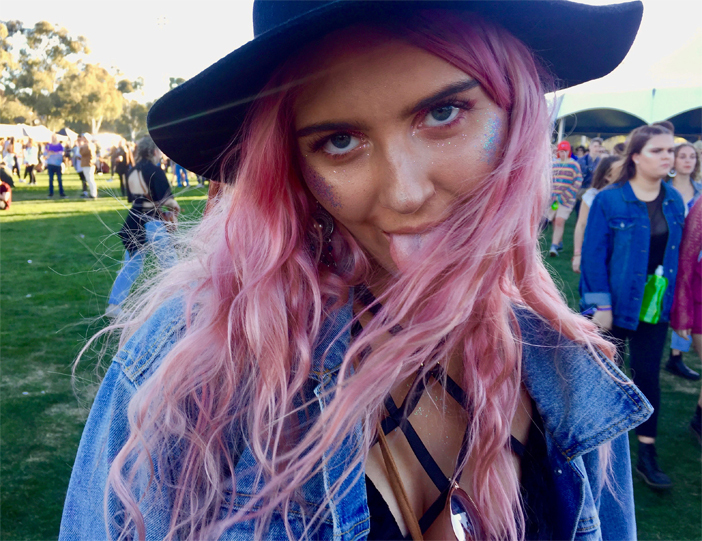 This boho babe paired her pastel hair with another hot trend – bodysuits. Yep, despite the bitter cold of Canberra’s autumn nights, tonnes of ladies were decked out in underwear or body suits, often paired with fishnet stockings or sheer maxi skirts. Whether it was girls with buzzcuts or boys in pink and pigtails, the youth of today are embracing androgyny and pushing gender norms with their clothes and styling choices. 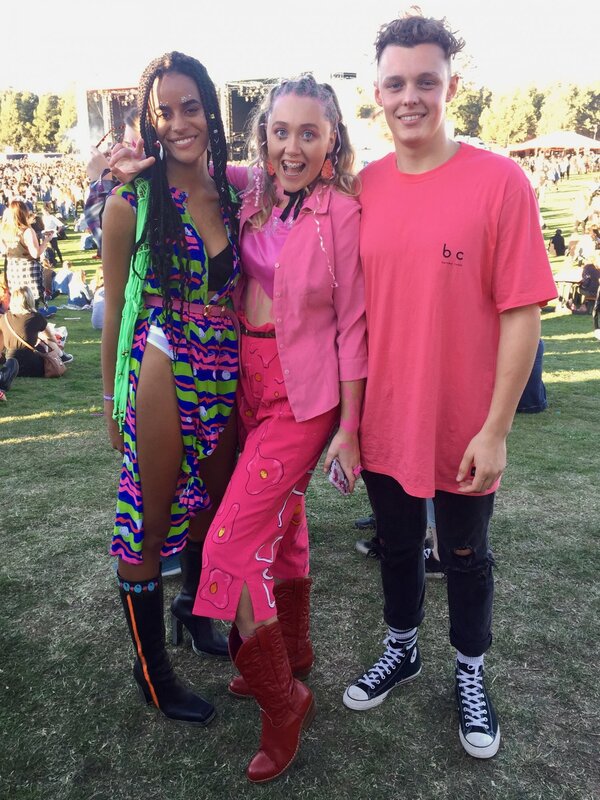 With teen idols like Jayden and Willow Smith and Harry Styles pushing this aesthetic as well as increasing visibility of LGBTQIA+ culture, I’m loving seeing more and more people play around with different looks, no matter what their gender. 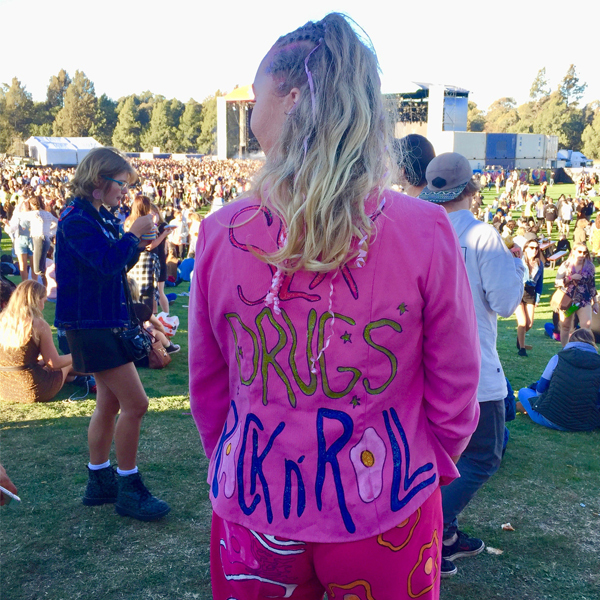 Pink was a popular colour choice this year, adorning hair, tshirts, metallic jackets and bathrobes (the poor man’s fur coat?). 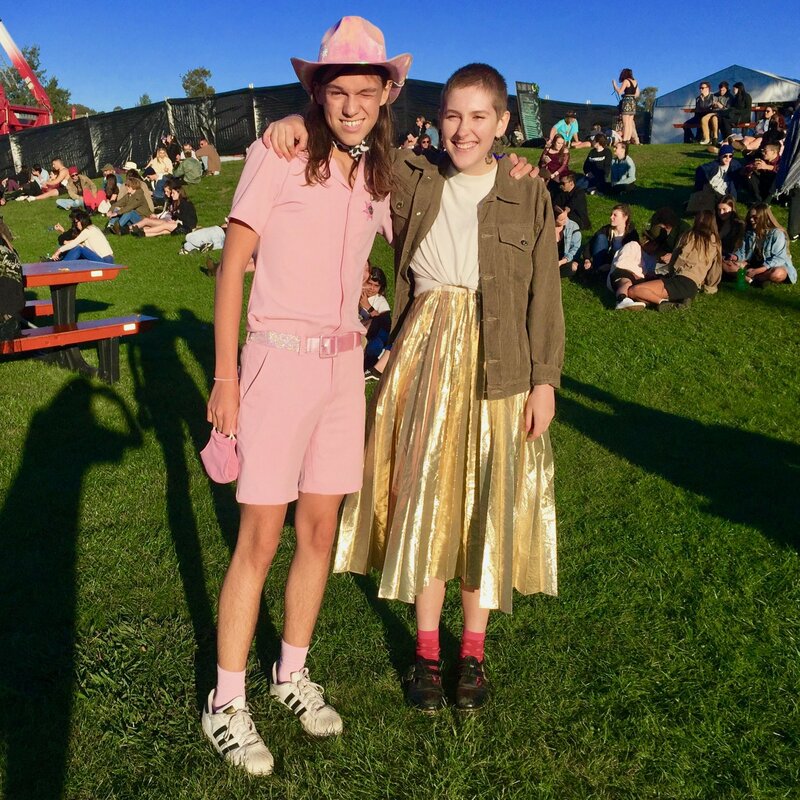 Perhaps an extension of the androgynous style, I saw lots of boys wearing pink outfits, creating a lovely contrast between traditional representations of masculinity and femininity. The trendy t-shirt theme of the day was beer appreciation. 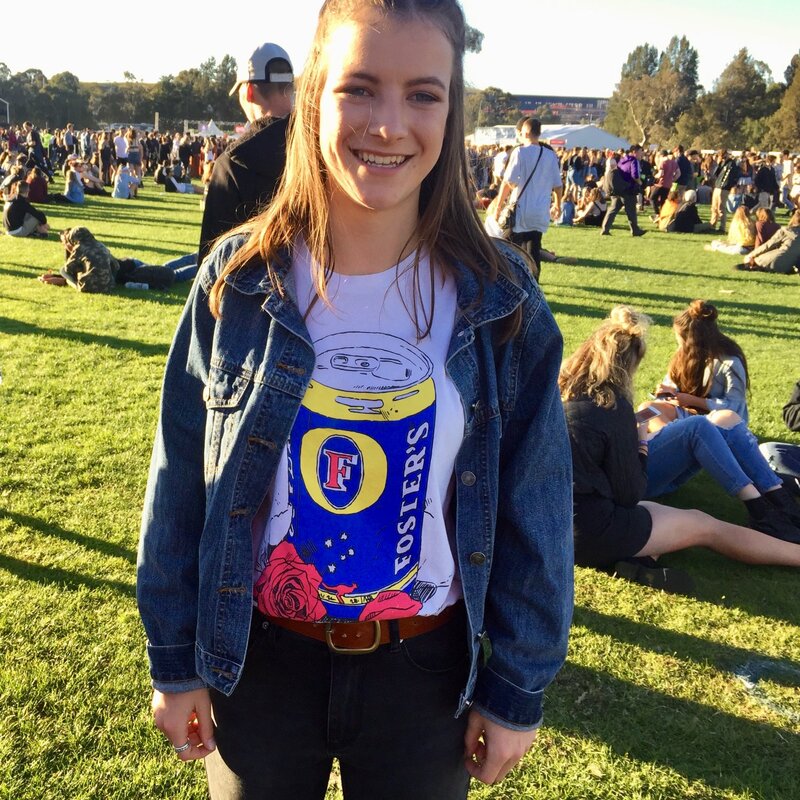 Whether you’re team Foster’s or VB, there was a shirt to match your festival beverage of choice. 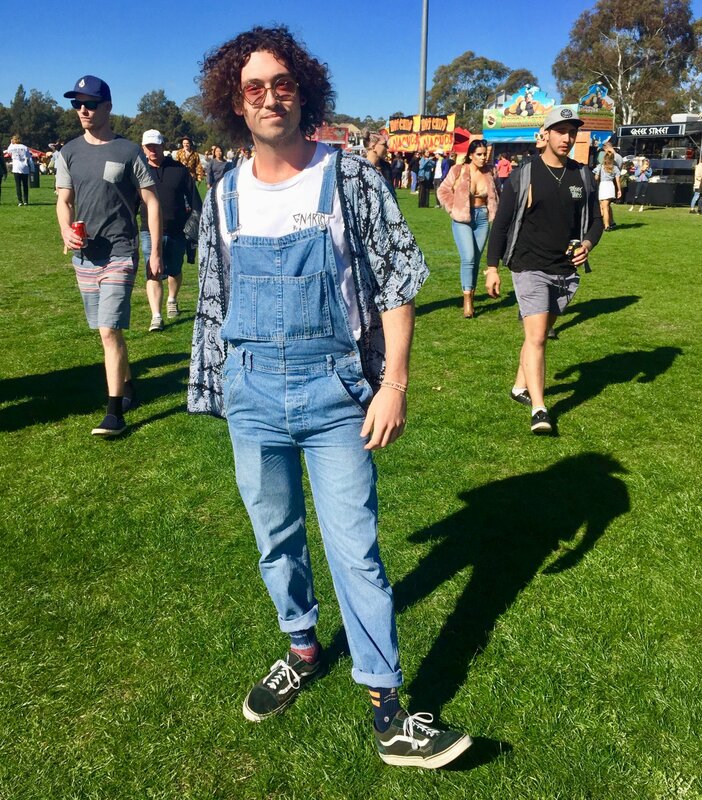 Did you get to Groovin the Moo Canberra on Sunday? What were your favourite looks?